What kind of bedroom decor do you favor? The days when the bedroom had to be crisp clean simple and modern are gone and now there’s a lot more freedom to experiment. Shabby chic decor albeit usually being feminine is very budget friendly and allows you to create elegance without going on a splurge. That’s what we like most about this style. But decorating your bedroom in shabby chic style doesn’t mean you have to go all in with soft pinks, floral patterns, and vintage furniture. Just a few accents in this style can achieve a very strong decor statement. Mixing it with modern style is also a very popular way to decorate nowadays. 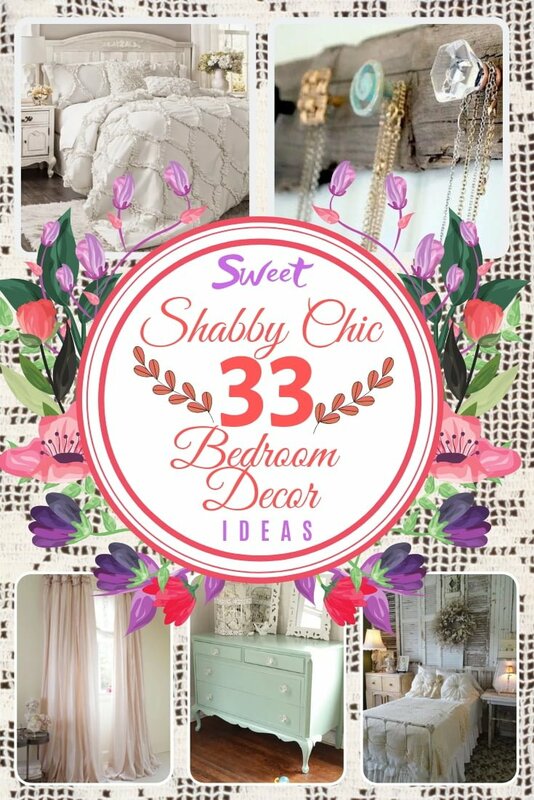 So here are 33 shabby chic bedroom decor ideas for you to choose from, even if you implement just one idea. A balloon drapery panel adds something different to your decor and introduces architectural interest. 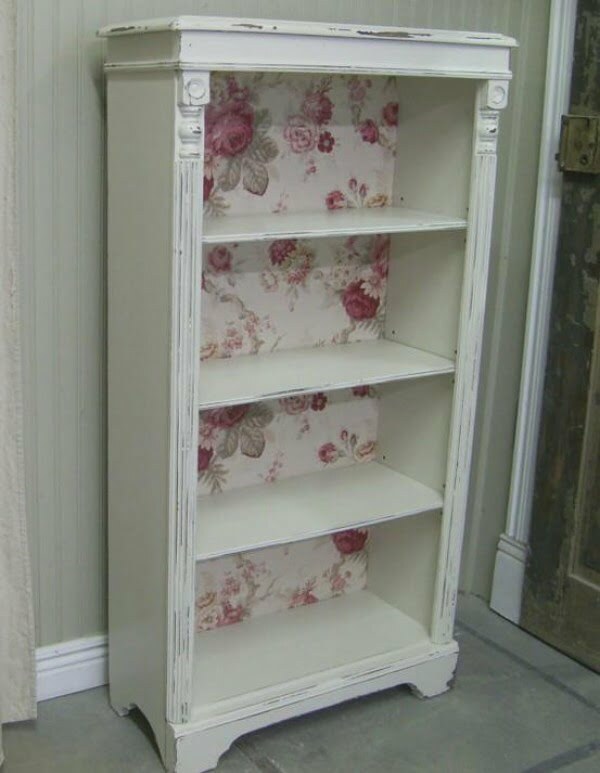 This is exactly an accent that you want to see in shabby chic style. 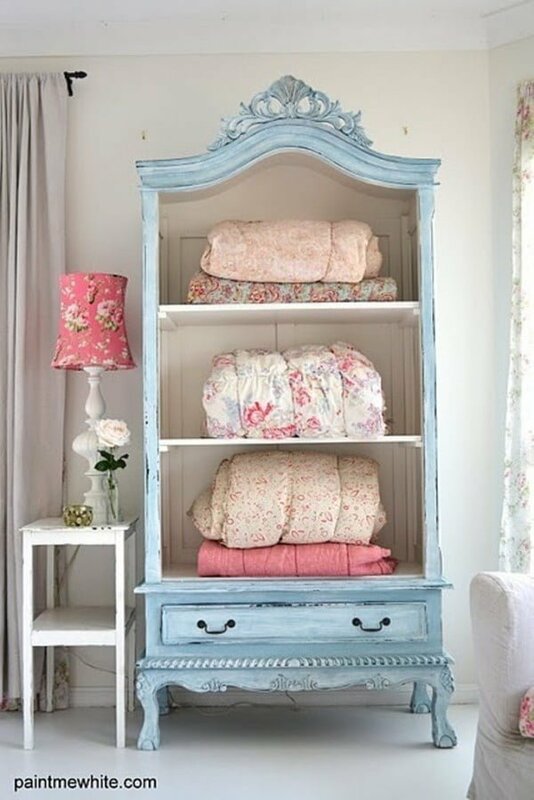 Fabrics embellished with raffle add that boho bedroom accent which is also very shabby chic. If there’s one thing you’ll do, choosing embellished bedding is one of the best ways to add some of this style to your bedroom decor. 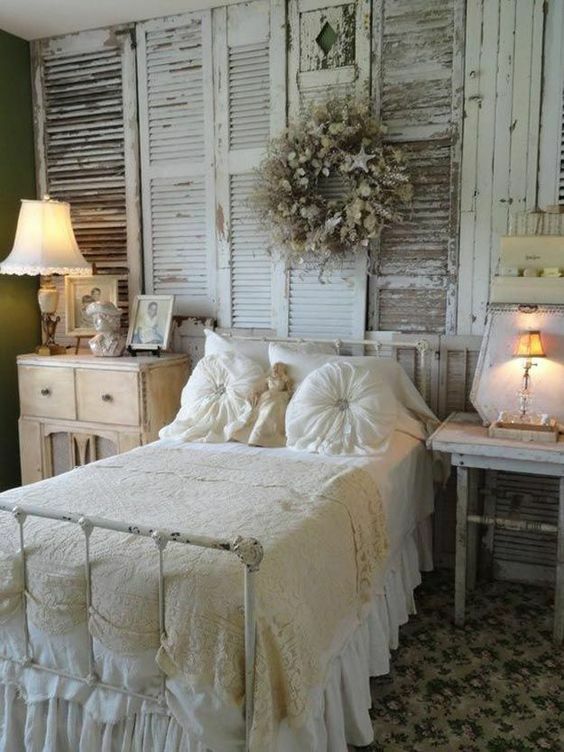 Old shutters are whimsical and convey the message of eco friendliness that shabby chic is all about. Walls decorated this way will bring a lot of decor interest. 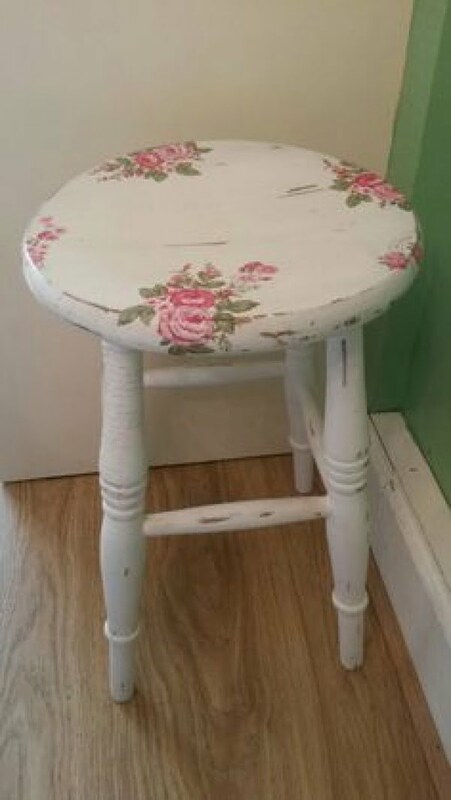 Now that we’ve mentioned eco friendliness, repurposing materials is definitely a way to go to create shabby chic style. 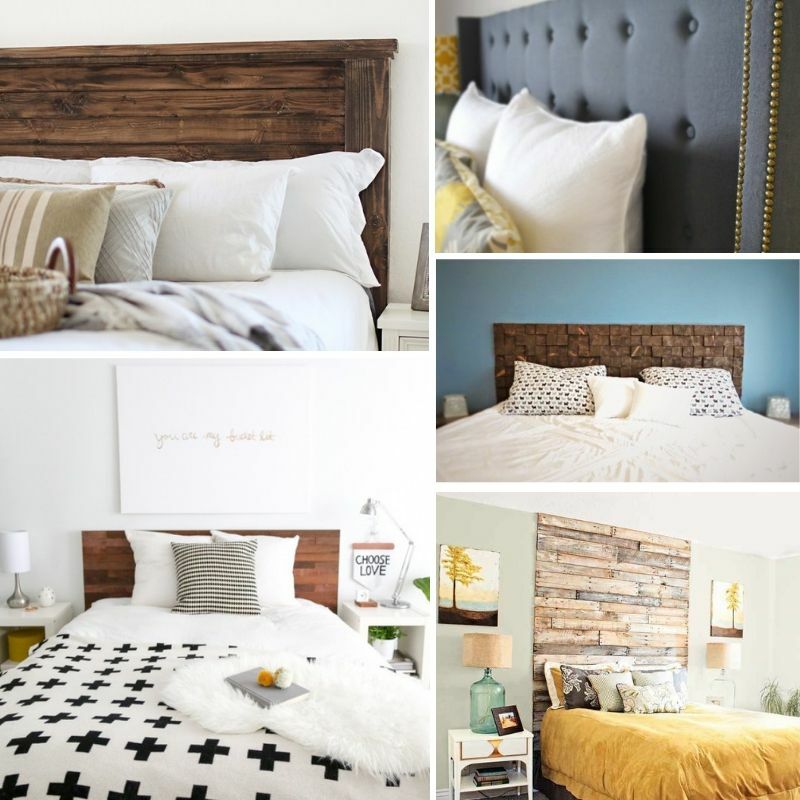 An accent headboard is an excellent place to do it. 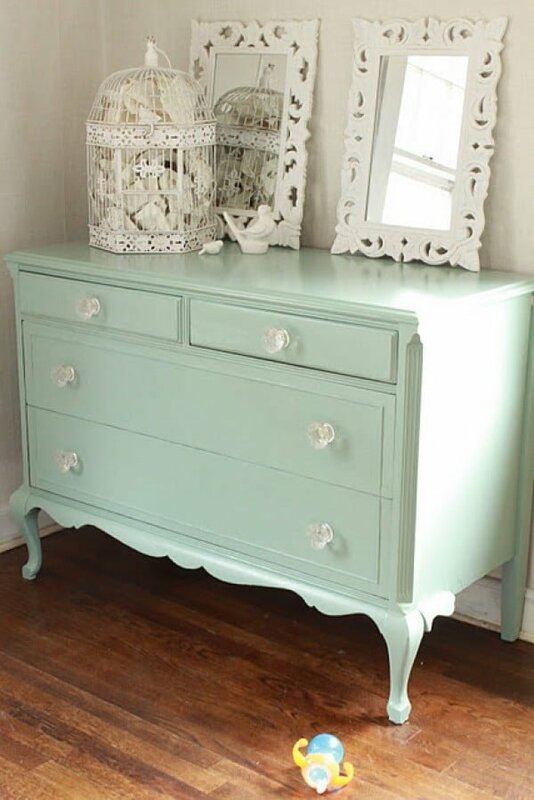 If you can get your hands on a vintage dresser or do a makeover of one, it will be the best addition to your shabby chic bedroom that you can get. 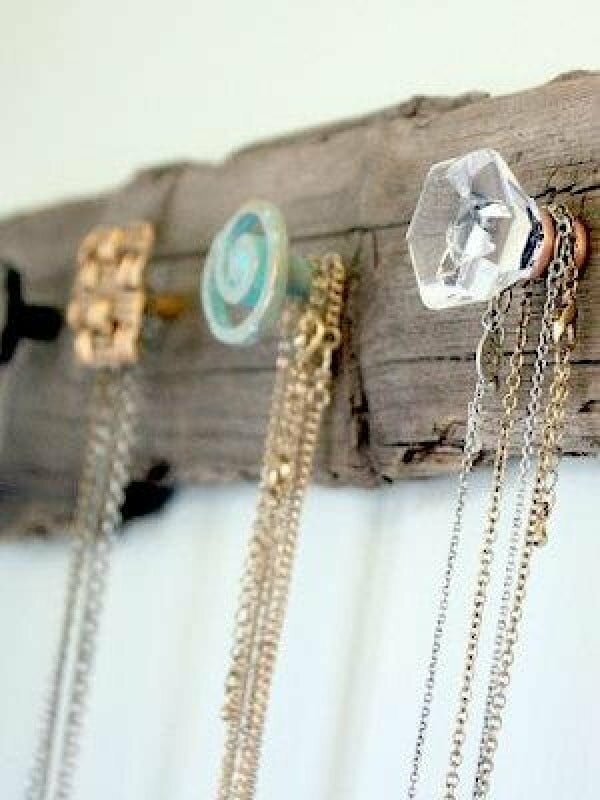 Add more small accents like this jewelry organizer made of driftwood and crystal door knobs. It can serve as a coat rack in your bedroom as well. 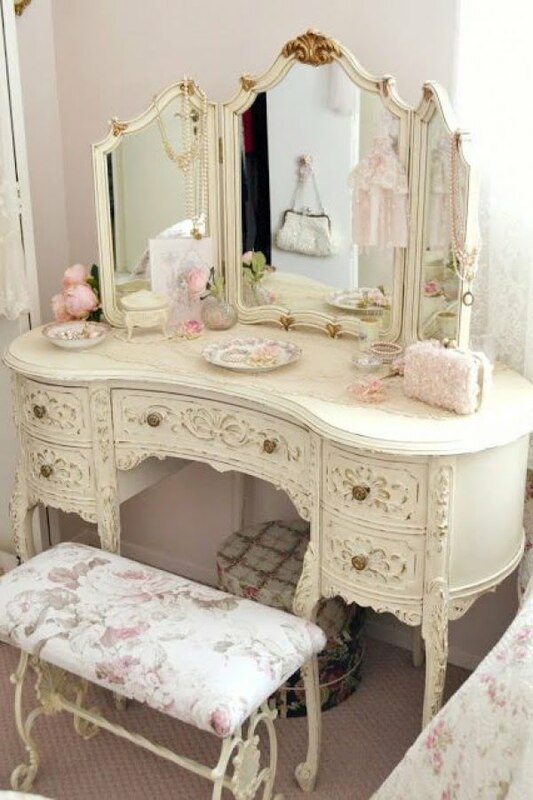 Decorative accessories can easily create shabby chic style without much thought. 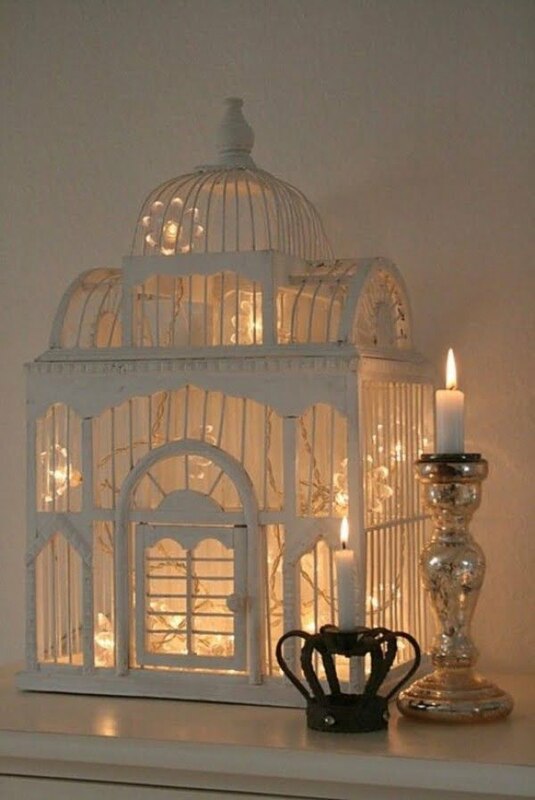 This birdcage embellished with string lights is an excellent example. 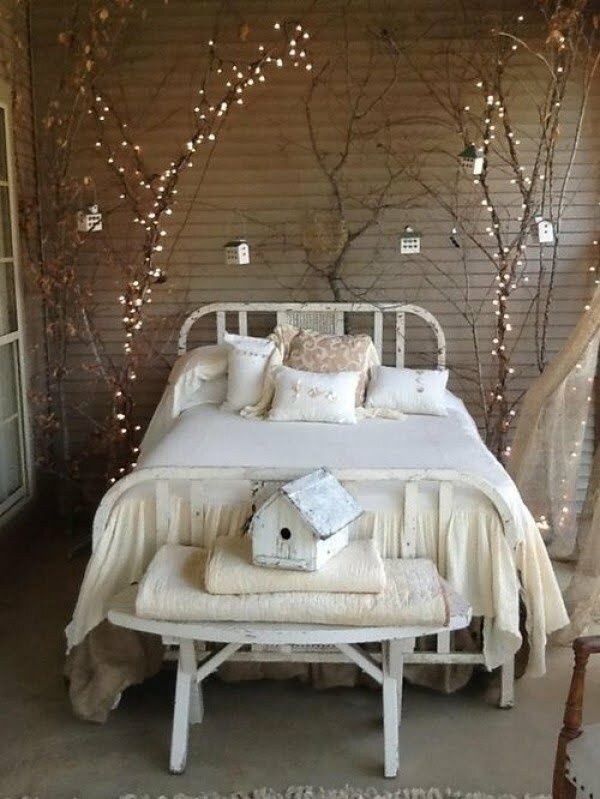 Fairy lights can easily be used to add some chic style to your bedroom. This combination with tree branches is an extreme but truly beautiful example. If you’re going to use wall art to create shabby chic style in your bedroom, try using an old window frame and some floral patterns as art. 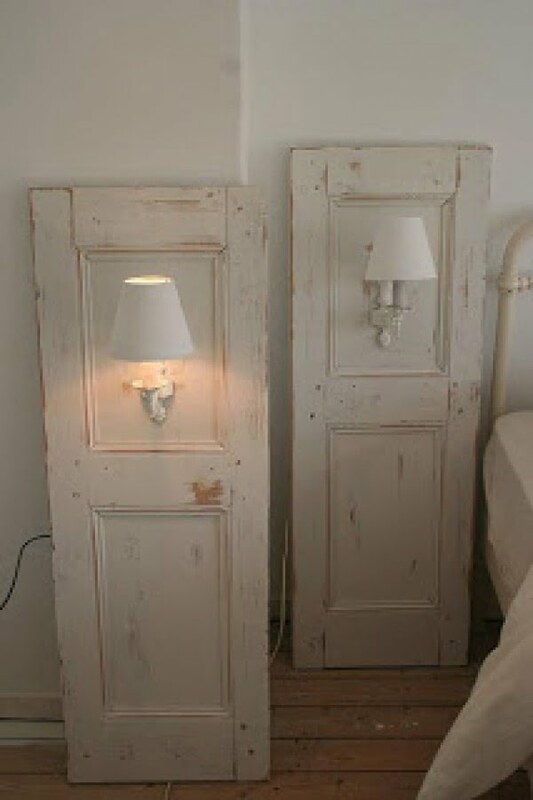 Some whimsy never hurts shabby chic style, so feel free to use decorations like old weathered cabinet doors as lamp fixtures. 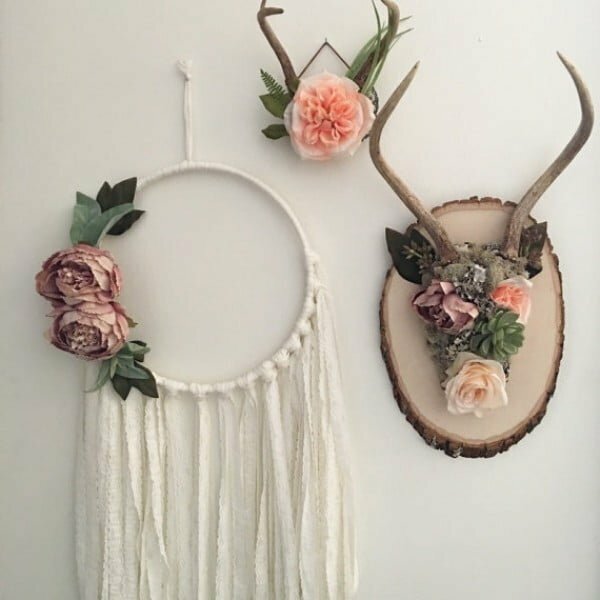 There’s a lot of floral decor in shabby chic style and it’s very easy to use it. Such as this chic vintage picture frame used to display an arrangement of flowers. Artisan wall hangings will find their home in a shabby chic bedroom. All you need is some empty wall space to get the effect. 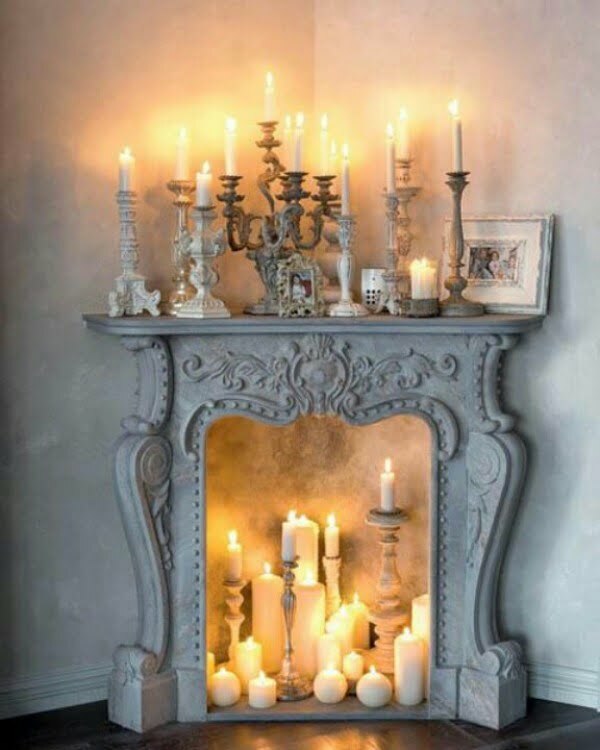 You’ll create a lot of vignettes when decorating in shabby chic style, but don’t go overboard. Simplicity is key here. 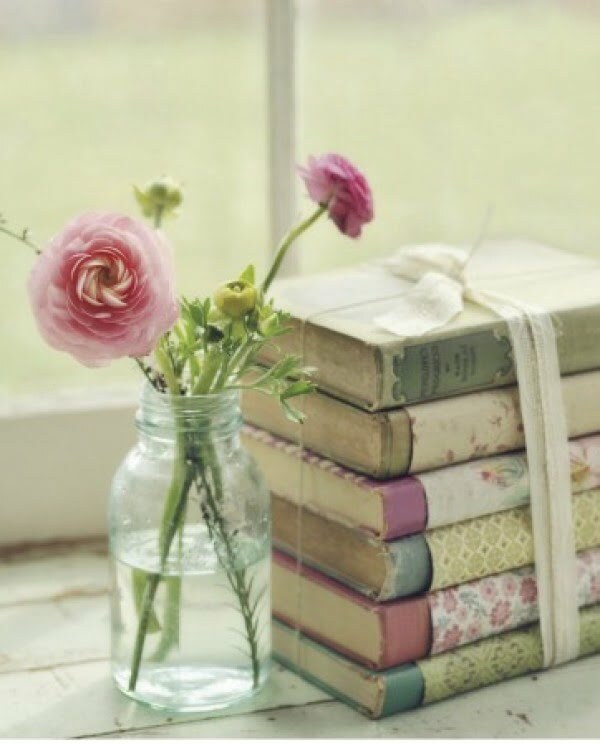 Such as this small but adorable bundle of old worn down books and a bottle with fresh flowers. The same goes for all floral arrangements – it’s all about simplicity. 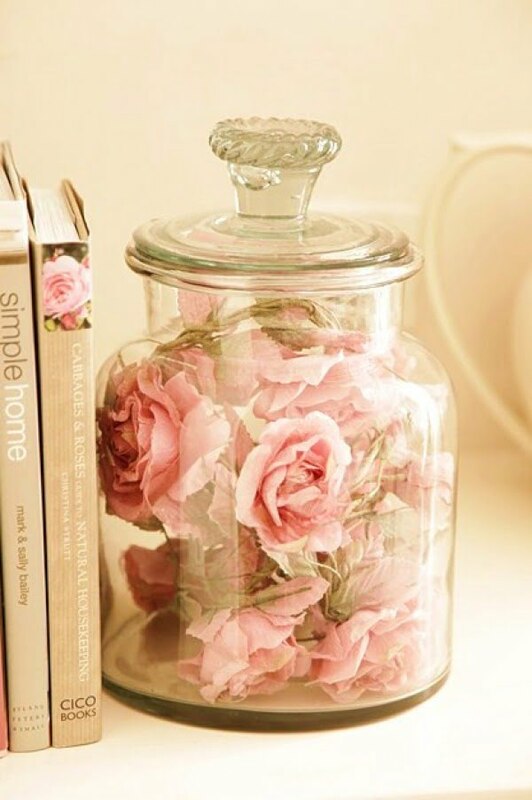 A vintage jar works well to display such an arrangement. 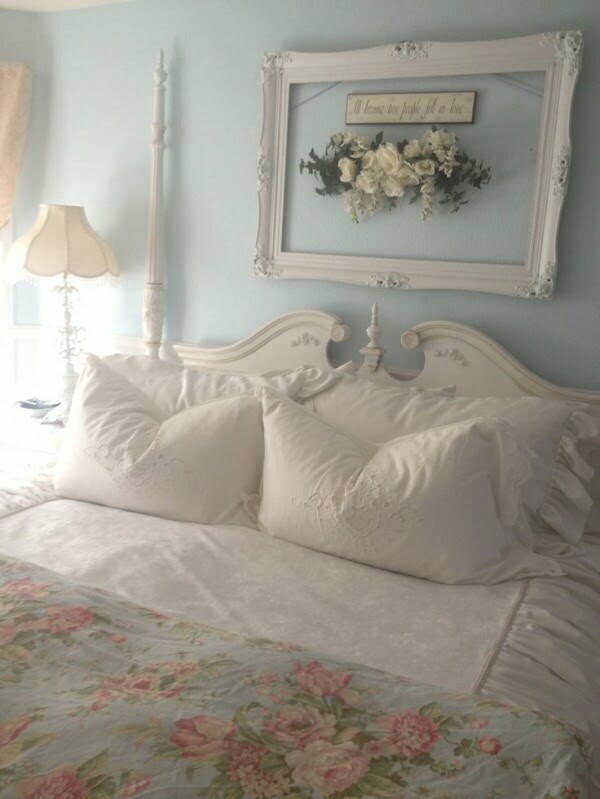 When choosing the bedding, go for floral patterns, especially those in pastel colors. This will create shabby chic style instantly. 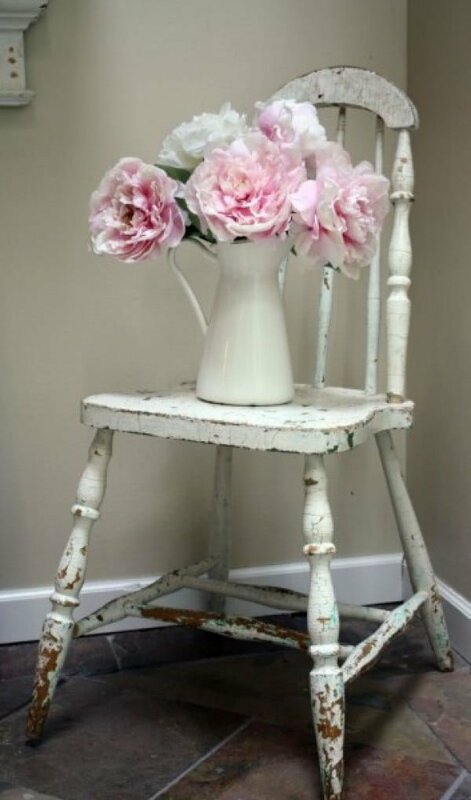 Always find a place for fresh flowers which go so well with vintage weathered shabby chic furniture. 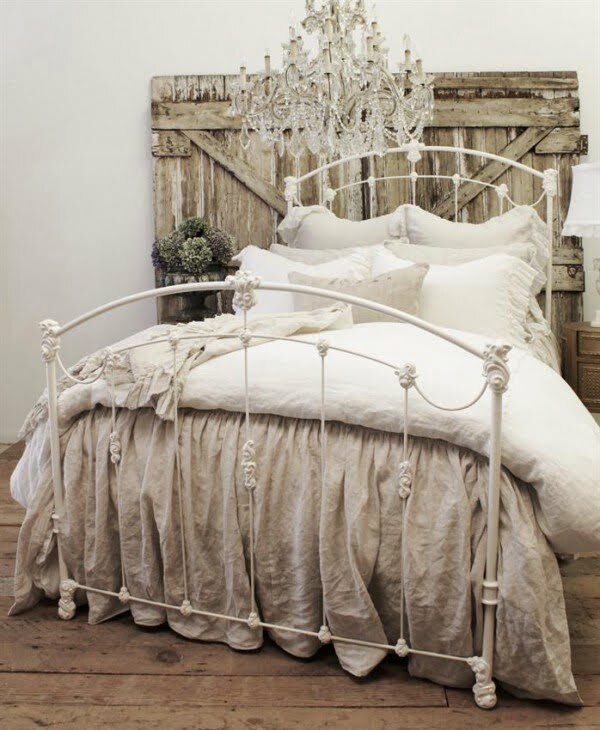 A vintage bed end can be the perfect shabby chic accent for the bedroom. While this example embraces the style completely, it can be mixed with modern furniture as well. As we’ve mentioned, even small accents can make a difference. So if a single vintage stool is everything that you can add to your bedroom decor, go for it. 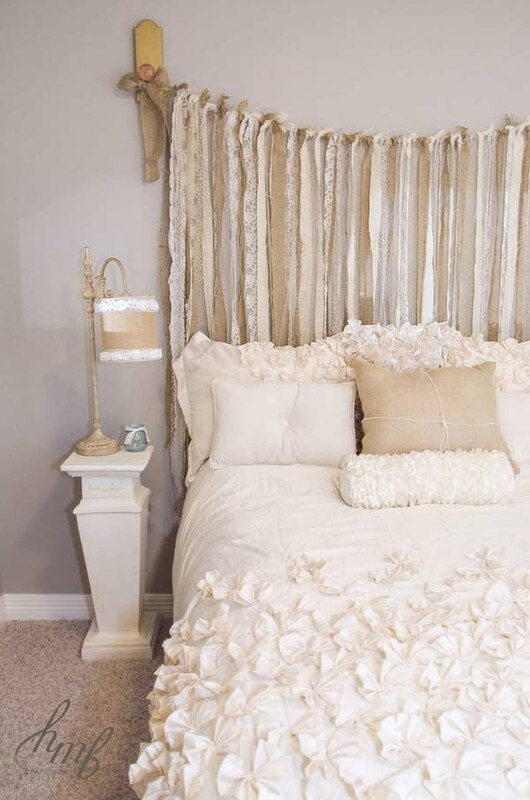 Laces will always work in shabby chic style, whether they’re used for bedding or curtains. You’ll never go wrong choosing them. A vintage weathered chair isn’t just a piece of furniture, it’s part of a vignette and a strong shabby chic accent. 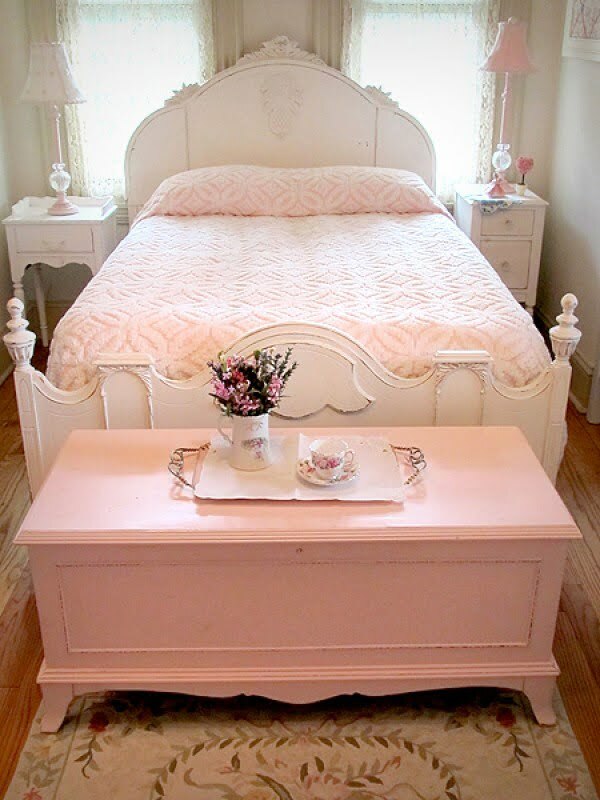 You’d be very lucky to get a dresser like this to your bedroom if you’re going for a very feminine decor. 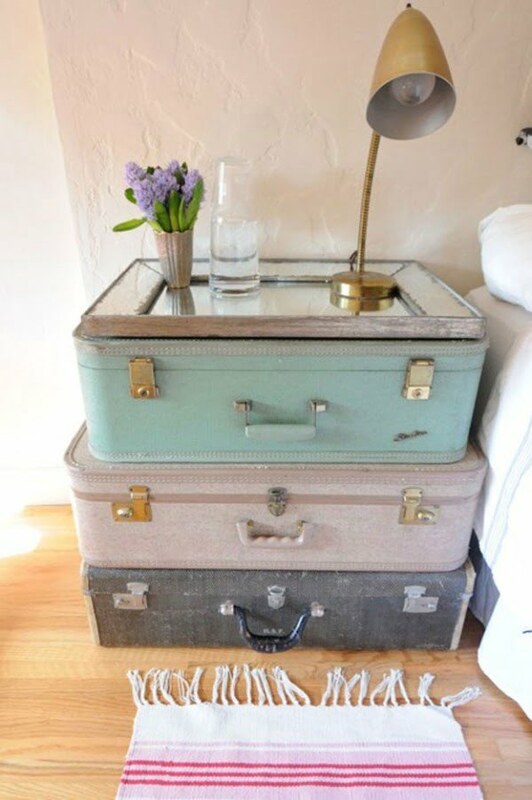 If you don’t want a very feminine bedroom, you can create a shabby chic style with whimsical and vintage furniture, such as this nightstand made of repurposed suitcases. Pastel colors play a very important part here. Shelving is often overlooked in bedroom decor so if you pay attention to it, you can add a very well placed shabby chic accent there. 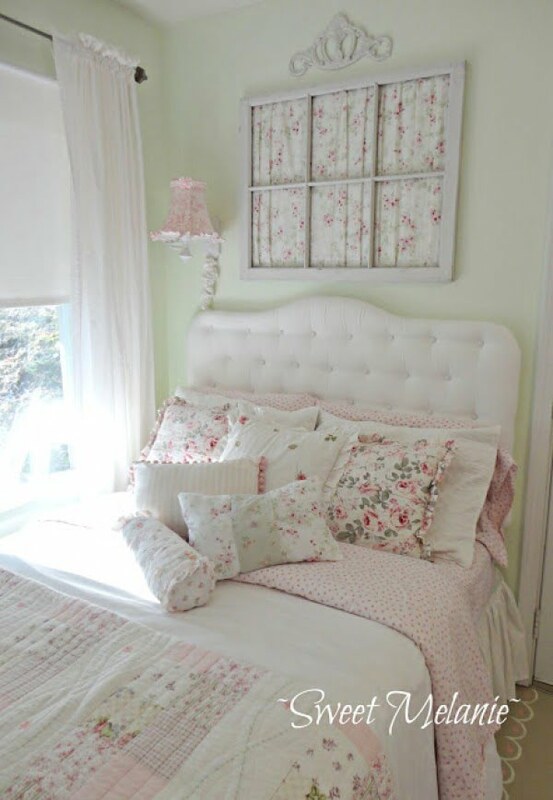 Here’s another example for an accent headboard in the spirit of shabby chic decor. An oversize mirror plays two parts here. 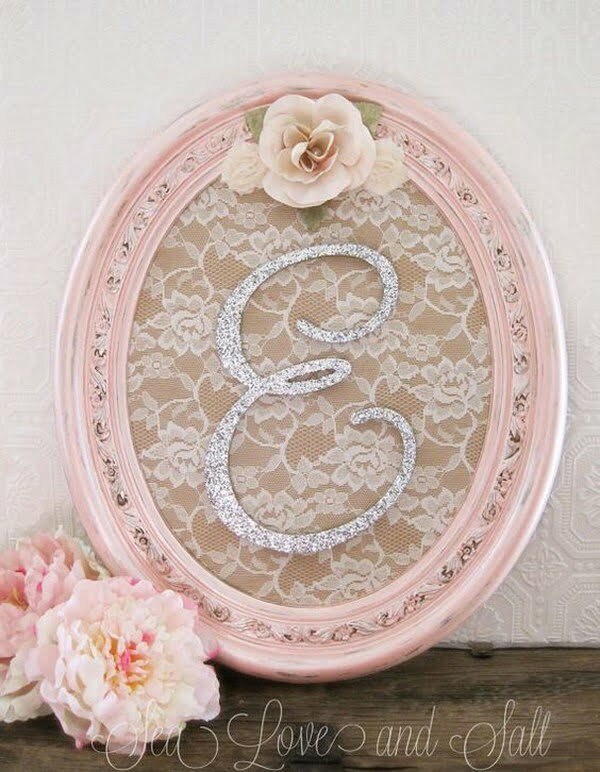 First, its vintage shabby chic frame has all the visual appeal we’re looking for. Secondly, it expands the visual space of the room. 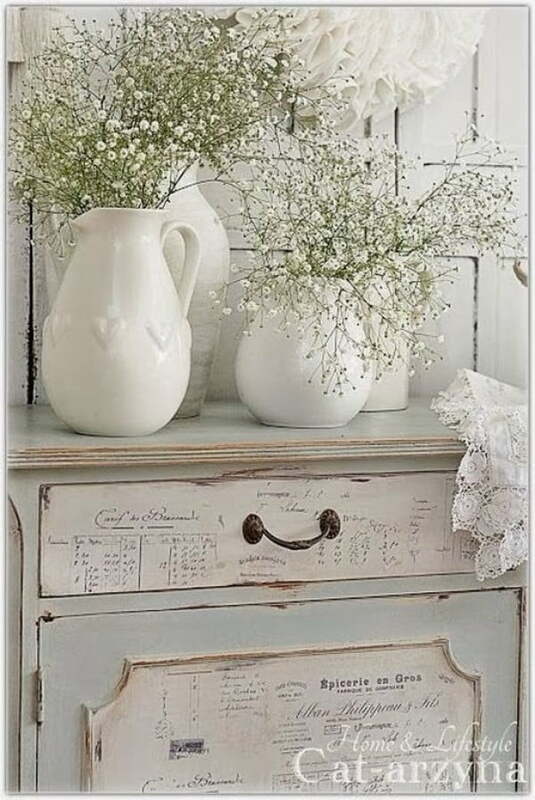 A lot of whimsy and the worn down look contrasted with beautiful floral arrangements makes a very strong shabby chic accent. Experiment with your curtains. While using hooks may not be the most functional design it can be an excellent way to add a shabby chic accent with day curtains. Add small but meaning full accents with floral patterns. It can be as easy as adding wallpaper to the backboard of a bookcase. A faux way is a pretentious way to create shabby chic decor in your bedroom but by all means, go for it if that’s something you like. Creating simple wall art such as a monogram with the floral arrangement is an excellent way to add a shabby chic accent to your bedroom decor. 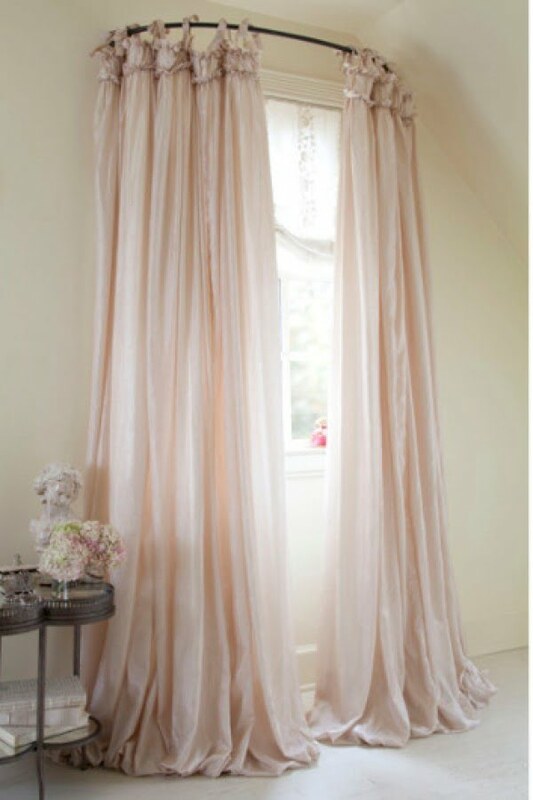 It can also be as simple as styling your curtains in a certain way. Such as this adorable tieback. 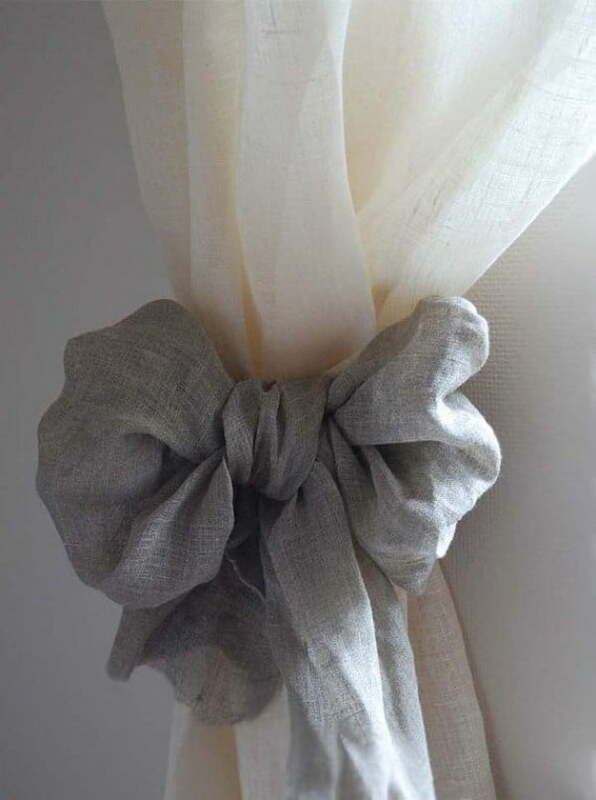 Using scrap cloth is a great non-committing way to create shabby chic decor, especially if combined with other chic fabrics, such as raffle or laces. 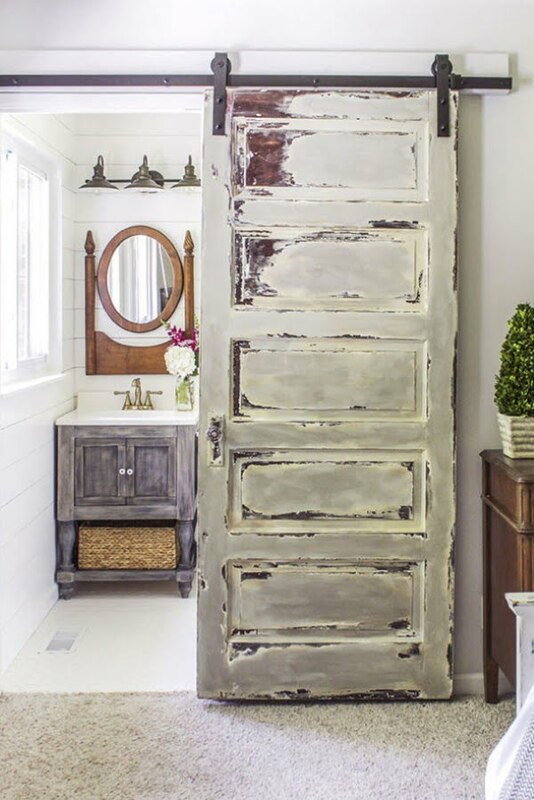 Top it all of with a sliding barn door which isn’t just a rustic accent, it’s shabby chic.